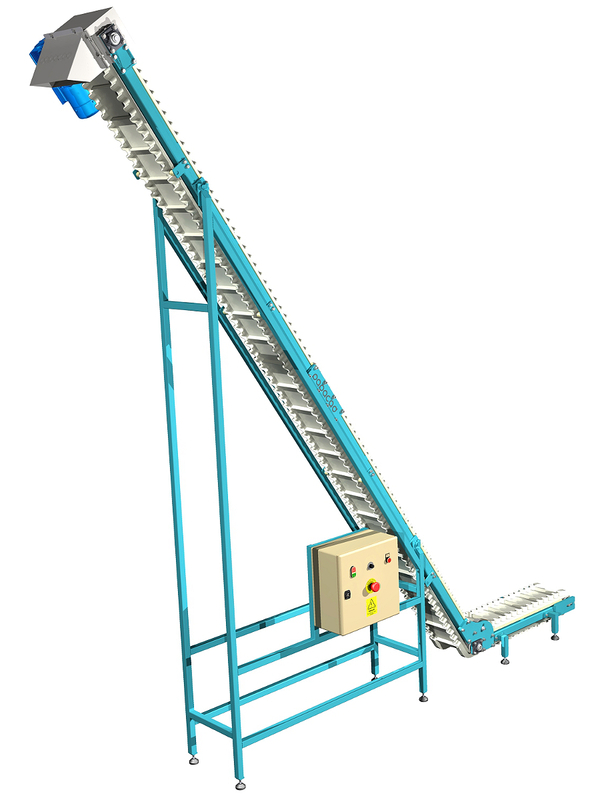 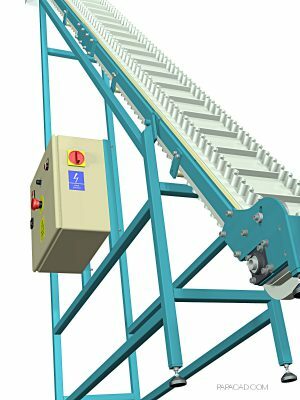 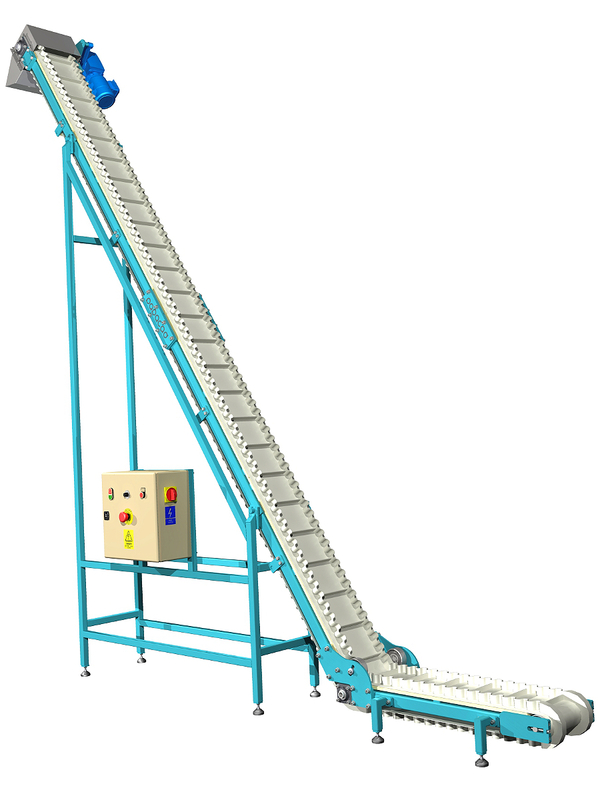 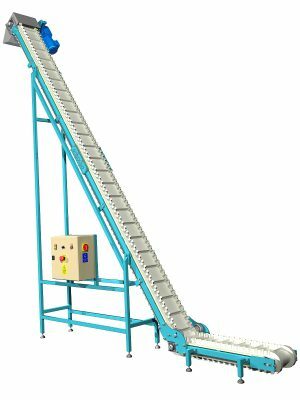 Corrugated sidewall belt conveyor design (inclined belt conveyor, incline belt conveyor) – for transporting bulk goods. 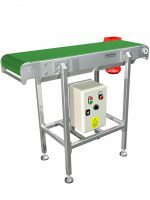 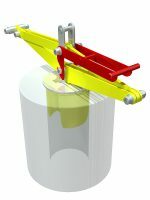 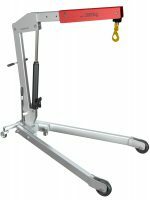 Transported material conveyed is protected from slipping down by transverse barriers. 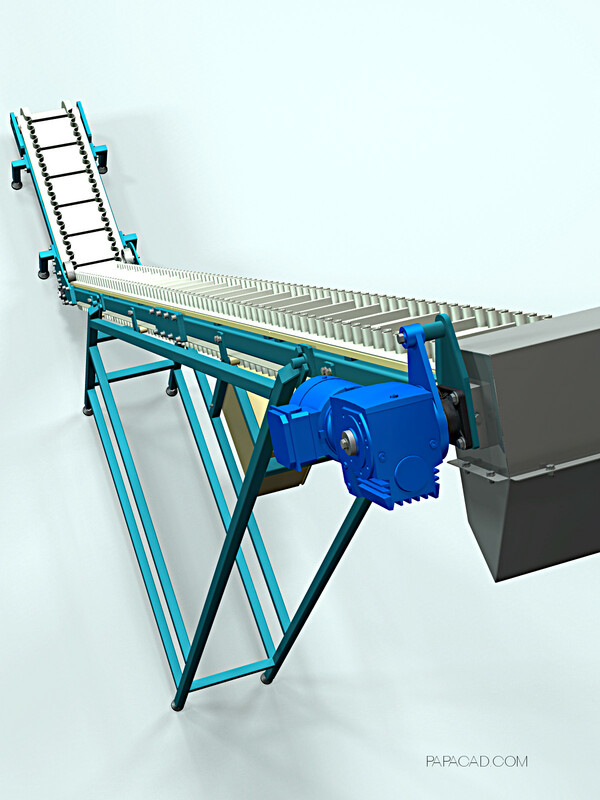 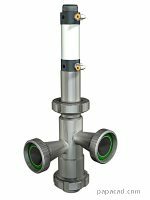 Different feed and discharge directions are possible by rotating the vertical runs.